The current global recession is one of the worst economic downturns since the Great Depression and we all have been impacted, some more than others. A vast majority of the population has been forced to alter their lifestyle due to the downturn. Some people were fortunate enough to get involved in industries less sensitive to economic change. The rest of us are trying to adapt, which has imposed a need to find alternative sources of income and expand our skill sets to protect ourselves from fluctuations in the job market. 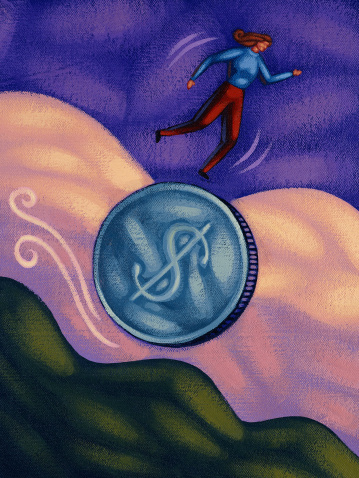 Whether concerned about keeping your job or falling victim to the stock market jitters, it’s important to prepare for the worst sooner rather than later. However, there’s a reason some people even in struggling industries have been able to improve their careers and wallets despite the recession. Rather than letting the economy get them down, these individuals focus on learning and developing their skills after their 9-5 job ends. They use the current economic climate to their advantage by taking measures to safeguard their careers and increase their professional worth. Jan Reuter and Dr. William Borgen have combined their extensive knowledge of career development to co-author “How to Recession Proof Your Career: Applying Successful Business Strategies to Your Work”. As opposed to focusing on the problems our economy has caused, Reuter and Borgen have exposed the tools people have successfully implemented to protect their jobs. Reuter and Borgen know that it takes more than reading career tips from industry experts for a person to feel empowered enough to take control of their life. The need to relate to one another and learning first hand from peers is crucial for motivation. "With ‘How to Recession Proof Your Career’ we really wanted to offer hope and practical advice to those who are worried about losing their jobs or are already unemployed. We are encouraging people to share their success stories on our website so that they can inspire others during these rocky economic times," said Borgen. The book uses career counseling theories and puts them into terms and processes that are easy to understand and apply. The expert advice is applicable to people from all different career paths--whether a CEO, construction worker or even a student--everyone can find examples that will motivate them to take action to advance their professional future, and recession proof their career. 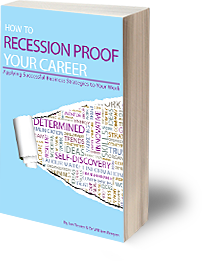 “No matter what your career is currently, whether you work in a garage or an office, ‘How to Recession Proof Your Career’ provides solid career advice on how to take control of your career so that you are not at the whim of the employer or the economy,” commented Reuter.